The TPP appears to be DEAD! Keep an eye out as I will be posting #StopTISA and #StopCETA Petitions in new posts! Stay Alert in case they try to bring TPP up in lame duck but that appears very unlikely. See the comments below for a long list of #TPPDead articles. A Big Thank You to Everyone who regularly Took Actions and Shared to Stop the TPP. Have a Wonderful Holiday Season. I tried to remove all of the “Fast Track” and “Release The TPP Text” petitions as they no longer apply but if you spot some, please copy the links into the comments below so they can be removed. Thanks! Fast Track TPA has been approved by both the house and the senate. Next step will be the full #TPP vote. Keep contacting both of your senators and your house representitive to #VoteNoTPP! Don’t be fooled by news that it’s all over, it is not. That is a trick they are using to make folks stop taking action. TPP is expected to be brought to a vote during the Lame Duck session in November 2016. You can post this short link to these petitions anywhere, in your posts, in other TPP post comments, twitter etc. WATCH! This is why it is so important for us to Post, Share and Tweet about TPP before it is too late! This is an actions post but here is a summary about some of what TPP will do if we let it pass. You will learn a lot more when you open the petitions to sign them and there are links to detailed information at the bottom of this post. The Trans Pacific Partnership (TPP) is our worst nightmare.. It will affect everything you care about from food safety, climate, environmental issues, pipelines, fracking, pesticides, gmo banning, public health, jobs, medicine costs, banking and finance, energy, the internet, jobs, wages and MUCH more and will give nearly unlimited power to the big multinational corporations. Negotiated in secrecy by over 600 corporate advisers and with no input by us or our congressional representatives, the TPP is the proverbial nail in our economic coffin.. It allows corporations to sue in secret off shore private tribunals with judges who are also corporate attorneys, with no appeal, when our legislation might interfere with their profits! ✋ Please Call, Sign & Share Regularly! ✋ Sign 1, 10 or All. A little each day! Don’t forget to tell them that we do NOT want #TTIP #CETA #TISA #ISDS or ANY Free Trade Agreements that favor the multinational corporations over the people either! ✎ ☏ Find your US Representatives by Zip Code & Call, Email and Fax! Arrange a meeting with your representatives! New Petitions Added Regularly! Save This Link! If you Read them, Each Petition is an Education on TPP! You can also copy & paste these petition links to share them one by one! The more you post, share and take Actions, the better our chances to Stop TPP! One plan to rule them all. Global Petition to #StopTPP! “Signing the TPP while there are serious allegations of corruption concerning one of its top negotiators would be reckless and anti-democratic. Do not sign the TPP. The White House must take plans to push a lame duck vote for the TPP off the table. Sign to tell the DNC Platform Committee: No lame duck vote on TPP! Pelosi: don’t let TPP pass a lame duck vote. To governments worldwide: Promise to protect our democracies from corporate lawsuits, and stop the secret TPP and TTIP trade pacts. Sign on to amplify the voices of hundreds of professors urging Congress to reject the TPP. Tulsi Gabbard: We must stop the TPP. Add your name. Sign the petition: Reject the TPP! Tell Congress: Don’t undermine our climate protections. Reject the toxic TPP! If Hillary Clinton is against the TPP, why did she just put a pro-TPP lobbyist in charge of staffing her administration? The Trans-Pacific Partnership is an environmental disaster. Tell Congress to reject the TPP. The Obama administration has until December 31, 2016 to pass the Trans-Pacific Partnership (TPP). The TPP contains massive new giveaways to big banks and giant corporations. It must be stopped. Congress: Commit to voting NO on the toxic TPP! Don’t Trade Our Jobs Away! Working America: Stop the TPP! The TPP was just signed. Now the final battle begins. Tell Congress to rein in corporate polluters and reject the toxic TPP! Tell Congress to Reject the TPP! A top official negotiating the #TPP was just caught accepting bribes. Will @BarackObama still sign it on Feb 4th? Tell President Obama to speak out on the Customs Bill! Senators Bernie Sanders and Elizabeth Warren: We must stop the TPP from becoming law! Tell Congress: Vote NO on the TPP! It compromises food safety, environmental safeguards, and public health..
Congress: Vote NO on the toxic TPP! CONGRESS: Stand Up to Corporate Power! Vote ‘No’ on the TPP! The #TPP was just finalized. This is our last chance to stop it. NO corporate coup! No TPP, TTIP, TISA. Defend democracy! Tell Congress: Vote NO on the Trans-Pacific Partnership. Demand Fair Trade, Not Toxic Trade! Tell the Senate: Don’t let a SOPA lobbyist negotiate our trade deals. Tell U.S. Trade Representative Michael Froman: Stop promoting tar sands! Make TPP Negotiations Transparent & Open to Full Citizen Participation! The Obama administration wants a former SOPA lobbyist to negotiate the TPP. We can’t let that happen. Tell our leaders: Don’t sign the Trans-Pacific Partnership. Stop the Secret Trade Deals: the Monsanto Protection Act on Steroids! TPP: Terrible Plutocratic Plan – Trans-Pacific Partnership – Tell your representative, senators and the president to oppose! ==Worldwide Petitions== Newest at the Top. Most allow anyone from any country to sign! Submissions close on 11th March, so we need to act now. Make a submission to the TPP Senate inquiry – Australia? UK: Tell Vince Cable and the UK TTIP team to fix or scrap the TTIP trade deal. The European Commission is seeking views from Europeans on the controversial investor-state dispute settlement (ISDS) proposals in the Transatlantic Trade & Investment Partnerhip or TTIP. Don’t let foreign corporations sue Australia over our policies on GE crops, coal seam gas, health & more! Urge the Canadian government to reject provisions being proposed in the Trans-Pacific Partnership (TPP) Agreement that threaten to restrict access to affordable medicines for millions of people. “LIKE” and Follow for News and Action Items! 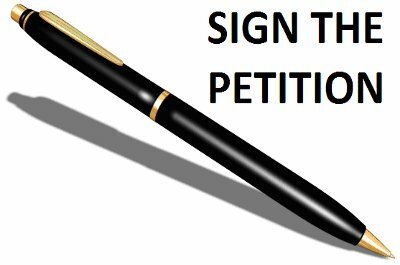 Please Sign and Share These Action Items ~ Petitions! They go to facebook pages. If this blog gets activity I will post the petitions here.